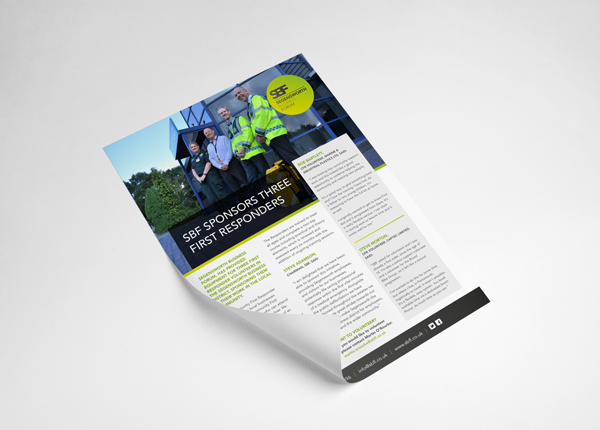 #InTheStudioThisWeek, Glow has been working closely with Segensworth Business Forum, writing a press release and designing a PDF and e-shot, to promote the new First Responders Service on the SBF Estate. Not only that, but we had the opportunity to get behind the lens and photograph the lovely volunteers, as well as interviewing them to get their feedback and reasons behind why they wanted to be a First Responder. Segensworth Business Forum (SBF) represents the interests, concerns and issues of all businesses on the Segensworth Industrial Estates. A single and coordinated voice, they work on behalf of everyone, lobbying for better services and increased funding to make their Estates a better place to work. SBF’s mission is to transform the Segensworth Business Estates into Hampshire’s premier industrial estate. A place customers love to visit and employees are happy to work, where crime is low and where the business community is exactly that: a community.